We are committed to raising health and safety standards and educating construction workers on safer working practices during the summer months, with our annual Safe in the Sun campaign. As reduced day light hours, increased wind speeds and falling temperatures can increase the number of onsite accidents, this year we would also like to increase awareness of onsite safety during the winter. In the winter, strong winds, freezing cold temperatures, snow, ice and lots of rain can create major hazards on building sites. As well as the risk of slips and falls, prolonged exposure to the cold can cause construction workers to suffer from more colds, bronchitis, asthma, painful joints and fatigue. In extreme cases, workers outside for long periods, without the right protection, could even suffer hypothermia, frostbite and chilblains. Surprisingly, the risks of cold weather actually start to increase at relatively mild temperatures and it doesn’t have to be snowing before protective measures need to be taken. For example, a 20mph wind can make a temperature of 10°C feel like zero. This wind chill factor can be worse for those working at height, such as roofers and they are also at particular risk from high winds. A sudden gust of wind can lead to loss of balance and cause a roll or sheet of roofing underlay to become extremely mobile and very dangerous. Rain, ice and snow can also make working platforms very slippery. This means it may be unsuitable for roofing work to be carried out in winter, when other trades at ground level could continue. That’s why it is vital that roofing contractors carry out their own thermal risk assessments and follow health and safety procedures. 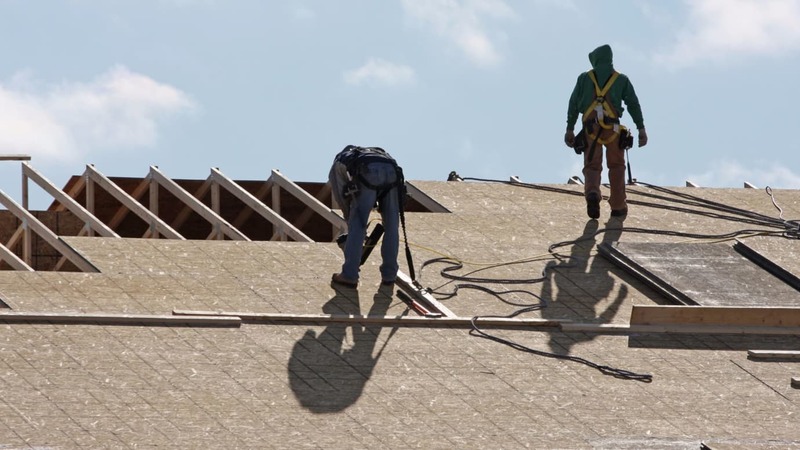 So, what precautions should roofing contractors take this winter? Make sure you are wearing the right PPE and extra clothing suitable for the job and the weather conditions. This usually involves using several layers of clothing, as well as waterproofs or wind resistant fabrics where necessary. Also, choose water resistant footwear, with enhanced slip resistance or ice grips if required.